One of the first foreign policy announcements made by Stefan Lofven upon taking over as Prime Minister of Sweden early this month was that Sweden would be the first country in European Union (EU) to recognise Palestine. On Thursday, Sweden officially recognised the state of Palestine, a move welcomed by Palestinians but roundly derided by Israel, which is locked in a long-drawn conflict with Palestine. “The purpose of Sweden’s recognition is to contribute to a future in which Israel and Palestine can live side by side in peace and security. We want to contribute to creating more hope and belief in the future among young Palestinians and Israelis who might otherwise run the risk of believing that there is no alternative to the current situation,” Swedish Foreign Minister Margot Wallström said in a statement. With this, the number of countries that recognise Palestine has risen to 135. India was the first non-Arab state to recognise Palestine in 1988. According to an official statement, the Swedish government has adopted a five-year aid strategy to substantially increase its support to Palestinian state-building. Sweden’s aid to Palestine will rise by SEK 500 million to SEK 1.5 billion over the next five-year period, in addition to Sweden’s substantial humanitarian assistance, the statement added. “Sweden’s contribution aims among other things to make it easier for Palestinians to support themselves and to continue living where they are, to strengthen women’s empowerment and strengthen resilience to environmental and climate changes. This increased assistance means support to all moderate and non-violent forces in Palestine promoting democracy, human rights and gender equality,” said Isabella Lövin, Swedish minister for international development cooperation. Palestinians have for long been striving for statehood in the Israeli-occupied West Bank and Gaza with east Jerusalem as the capital. As the conflict with Israel has often led to violence and killings of innocent civilians, the Palestinians have in the recent past stepped up their lobbying with sympathising foreign countries for internationalising the issue and, through that, gain recognition. Hailing Stockholm’s decision as “brave and historic”, Palestinian president Mahmud Abbas expressed the hope that other more countries would now come forward to recognise Palestine. Expectedly, Israel reacted sharply, with its foreign minister Avigdor Lieberman saying: “The Swedish government must understand that relations in the Middle East (West Asia) are a lot more complex than the self-assembly furniture of IKEA.” He added that the move would only “strengthen extremist elements and Palestinian rejectionism”. 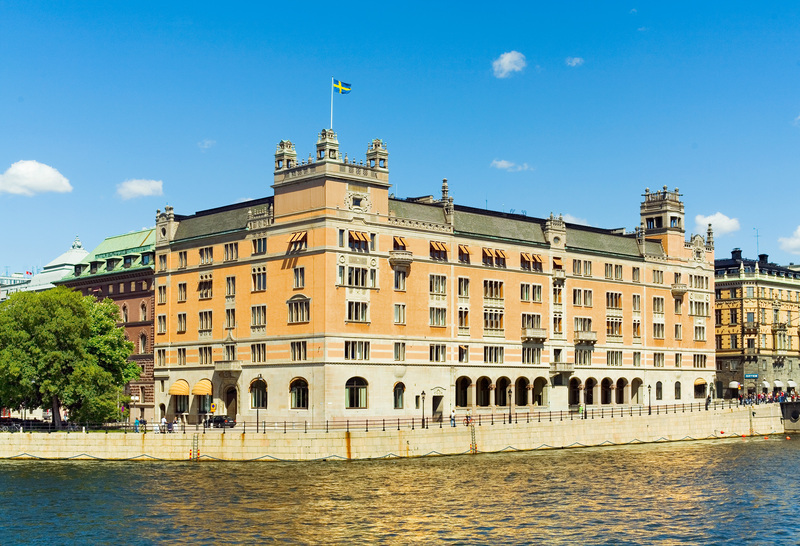 Israel summoned Sweden’s ambassador to protest. The US was guarded in its reaction, terming the move “premature” and saying the Palestinian state could only come through a negotiated solution between Israelis and Palestinians. Israel’s stated position is that the Palestinians can only achieve statehood through direct negotiations. The United Nations had approved the recognition of Palestine as a non-member observer state in 2012. Sweden’s move is positive for Palestine in the sense that it could prompt other European countries to look at the Israel-Palestine conflict through the prism of compassion. However, whether it will force Israel to abandon its aggressive posture towards Palestine remains to be seen.